Disgraced Australian captain, Steve Smith stepped down as Rajasthan Royals captain after getting embroidered in ball tampering during the third match against South Africa. After the cameras caught Cameron Bancroft tampering the ball during day 4 of the test match between Australia and South Africa in Centurion, Steve Smith along with Bancroft admitted to their actions at a press conference held after the day’s play. 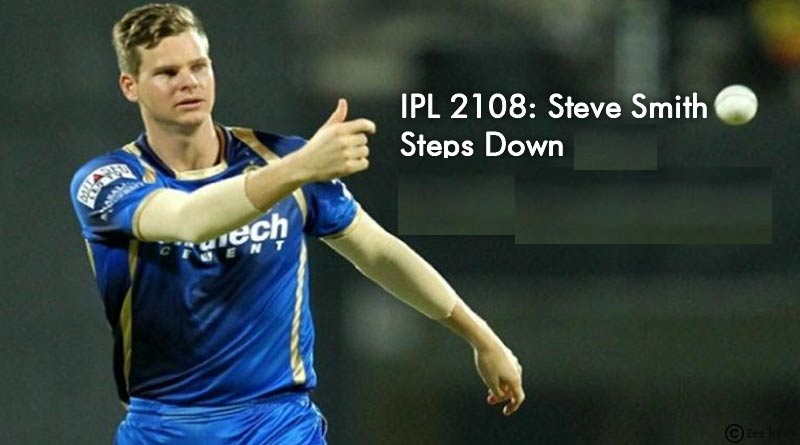 Steve Smith stepped down as Rajasthan Royals captain in the aftermath of this incident. David Warner also stepped down as vice-captain of the team . One of the biggest scandals to hit cricket this past decade has seen severe consequences for Steve Smith and the Australian team. It all happened after Australian opener Bancroft was seen trying to rough up the ball by using yellow tape which had grains stuck to it taken from the pitch. Once caught on the cameras in his disgusting act, he shoved the tape down his pants as he was asked by the umpires to explain what was going on. This act of utter shame was however caught by the 40 plus cameras present at the stadium and broadcast to viewers all around the world which only left us all amazed at the naivety shown by the Australian team to even think that they could get away with such cheating. A double whammy for Australia was that not only did their tampering of the ball not work in their favour but they also ended up losing the test match by a mammoth 322 runs. The ICC has come down heavily on Smith by banning him for one test match and fining him of 100% match fees. “As captain, Steve Smith must take full responsibility for the actions of his players and it is appropriate that he be suspended,” said ICC chief executive David Richardson. After Steve Smith stepped down as Rajasthan Royals captain, who will be the captain of Rajasthan Royals?